The lambswool duster is a natural fibre which is both resilient and elastic and will reach into most crevices. Being 100% lamb’s wool these dusters are extremely soft and natural lanolin in the wool will attract and hold dust. This duster has a 2ft wooden handle. Q. 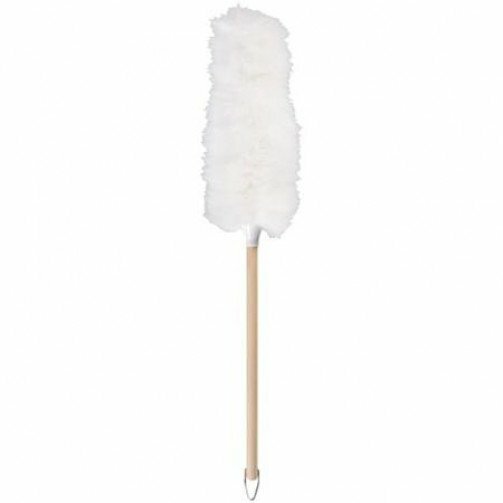 Is the handle of the Lambswool Duster wooden or plastic? A. It depends on which supplier we are sourcing the item from, if you require the handle to be made from a specific material then it may be best to call or email us first to see what is currently being supplied.